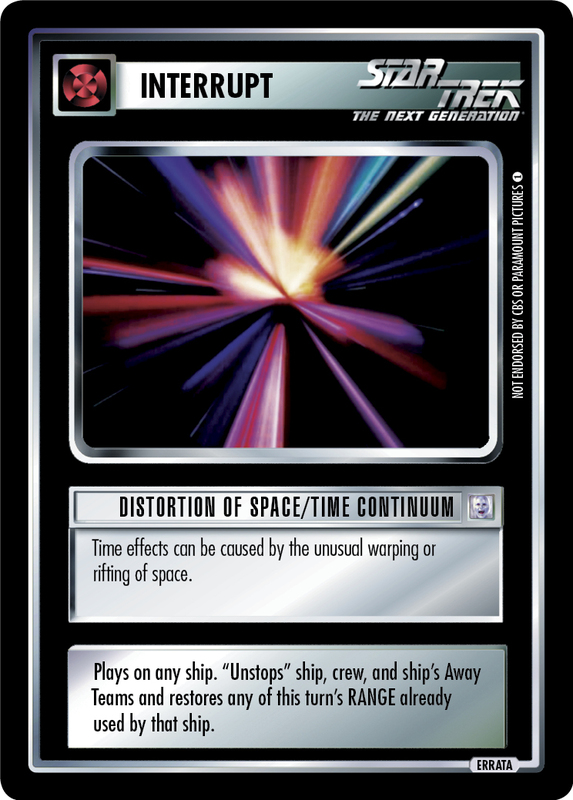 Time effects can be caused by the unusual warping or rifting of space. Plays on any ship. 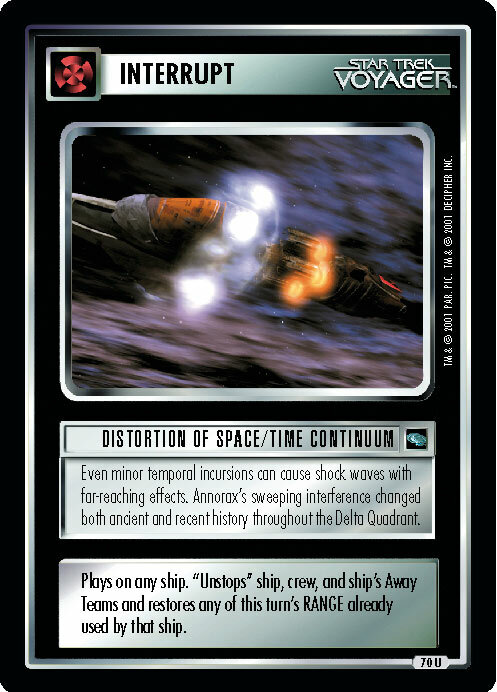 "Unstops" ship, crew, and ship's Away Teams and restores any of this turn's RANGE already used by that ship.